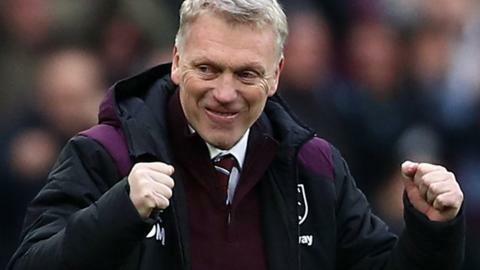 David Moyes earned his first three points as West Ham manager on Saturday - with a 1-0 win against the Premier League champions Chelsea no less. The Hammers scored after just six minutes when Marko Arnautovic curled a deft strike into the bottom corner - you can read the full match report here. Meanwhile, social media has been relishing the moment and here are a few of the best reactions to the so-called "new Moyes era" at London Stadium.